“Ah, finally I was pregnant again! After struggling 22 months with my oldest, I knew it wouldn’t come easily. However here I was again seeing those two pink lines. I couldn’t believe it. A few weeks later the complications began. The ER told me there was no baby, no heartbeat, and they told me I had a subchoronic hemorrhage and was going to miscarry the baby. I was mortified. Next I was told the baby was growing too slowly and that may mean our pregnancy isn’t viable. We had to wait it out to see. 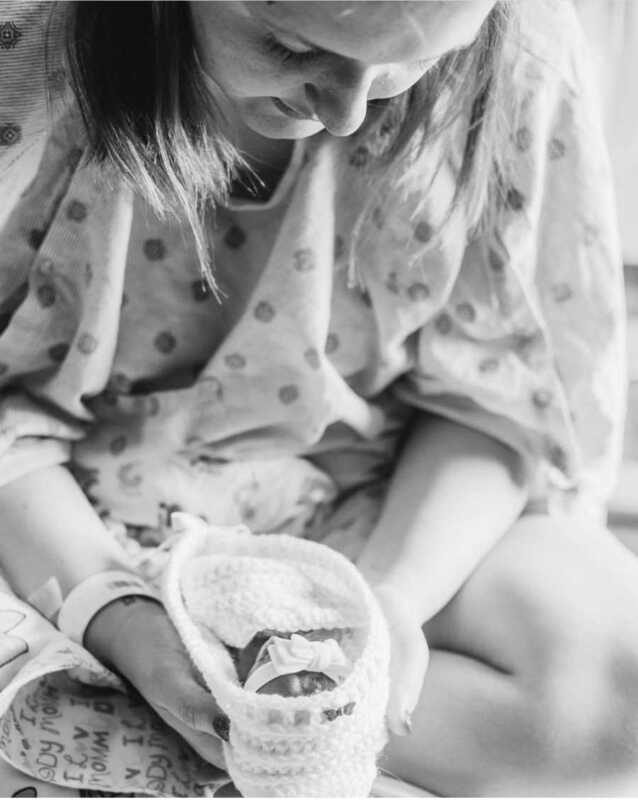 I bled my first trimester and into my second, I was sure we lost our baby when I started to pass clots. We went to check if the baby was okay and there her little heart was, flickering away. She was perfectly fine. She was strong and a fighter. The doctors never could figure out why there were so many complications from the get go but she was okay and that was all that mattered. We found out she was a perfect little girl, named her, and started setting her nursery up. It was the perfect shade of pink. November 10th, 2018 we didn’t feel her move all day. I didn’t think much of it because we woke up and went straight to get my son diapers and then to the baseball fields in my hometown to watch my dad play softball. We were moving so much I wasn’t paying close attention. Later we went home and when I laid down for a bit, I still hadn’t felt her and called L&D. I told them what was going on and they said give it some time. We laid there for two hours while my son napped and tried everything to get her to move. Switching positions, poking at my belly, shining a light on her, looking for her on the doppler, orange juice, everything you could Google. I didn’t want to go in and overreact. 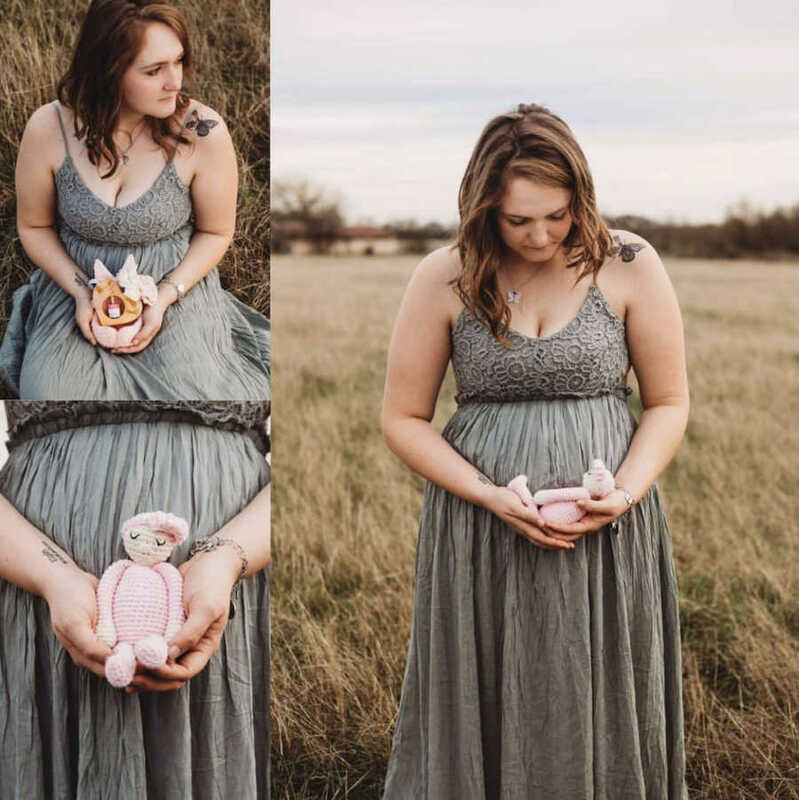 I freaked out a lot during my pregnancy with my son because this was my biggest fear. Losing him and having to go home to a beautiful nursery empty handed. I prayed hard I was making things up in my head but deep down I knew. I just prayed I was wrong. We went in and they looked with the doppler. The poor nurse was 34 weeks pregnant herself. She was the one on the phone. 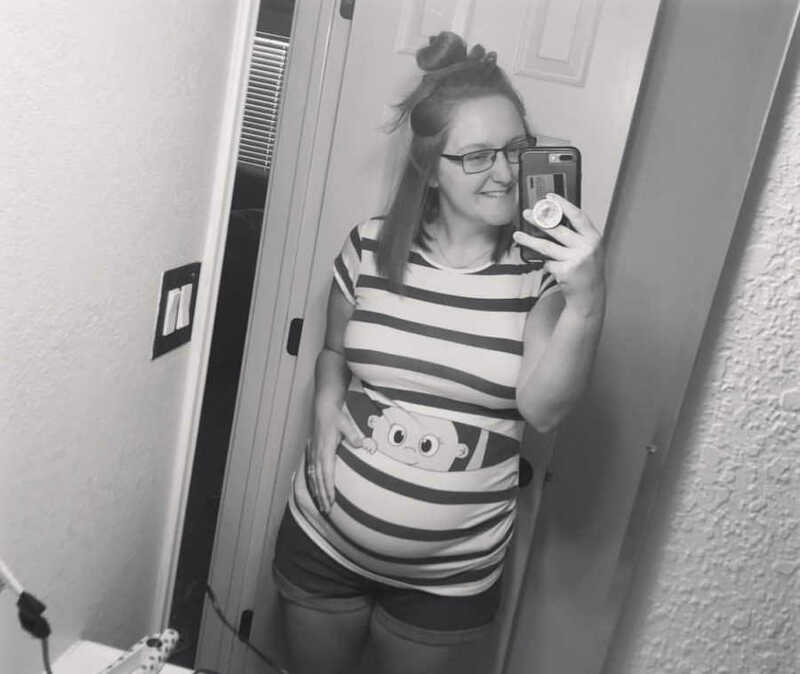 As soon as she checked with the doppler she knew, she didn’t say a word to raise concern but called in the doctor to do an ultrasound. I prayed I’d see her move. I hadn’t cried yet, I didn’t want to show my husband I knew. I wanted to be wrong so badly. They put the wand on my belly and it confirmed my fears immediately. All I could get out is ‘why isn’t it flickering?’ I knew already though. They never said the words, they never had to. They just said ‘we are trying to figure that out.’ They called another doctor in to do another ultrasound because ‘this doctor has been doing it longer.’ No matter how long someone has done ultrasounds it wouldn’t make my baby’s heart beat again. I said ‘her heart isn’t beating, is it? !’ They looked at us and said ‘it doesn’t look like it, I’m so sorry.’ I already knew though. I had to make the decision on carrying her for a day or two longer to soak up the news or deliver her that day. After that, I couldn’t carry her any longer, It was too hard. I just kept waiting for her to move. I knew she wouldn’t but I prayed she would. It was too hard. We went home and grabbed our things, met family at my house to take my son, and headed to the hospital to deliver our angel. I remember asking them to re-scan to make sure. They did but she was so still. Her little brain was perfect. They tried to get another profile of her but her hands were by her face. They were by her face at every ultrasound we ever did and we always had to irritate her to get her to move them. Our sweet baby. We started the medicine to induce me, it felt so wrong. I knew it wasn’t time but I had no choice. A few days wouldn’t have changed my feelings. It wasn’t time to meet my baby, March was the time to meet her. I got admitted around 9 p.m. on the 10th. I didn’t go to sleep until 4 a.m. the 11th. My husband slept but I couldn’t shut my mind off. I still don’t sleep much. I started contracting hard at 8 a.m. on the 11th. My doctor was in church and I was so angry. The doctors called him while we were in L&D and I spoke to him myself. 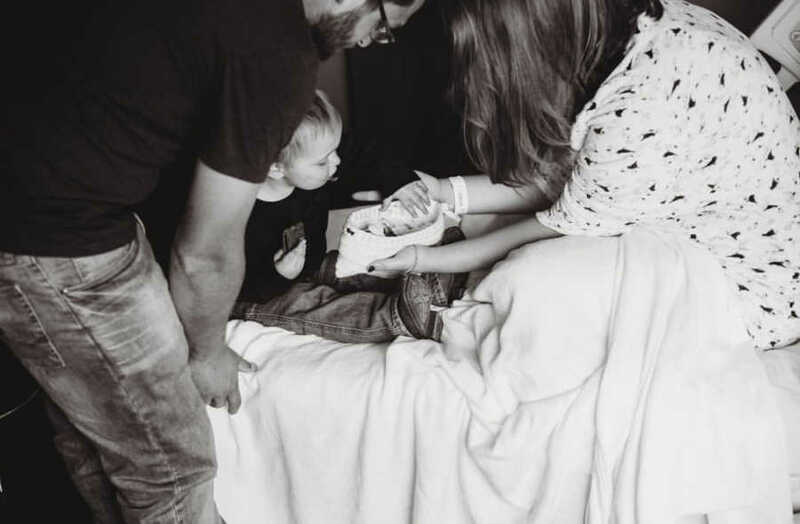 He helped us get pregnant both times, delivered my son and I wanted him to be the one to deliver her as well. Why would he go to church if he knew my baby was going to be born at any point in time because her heart quit beating? My husband told me he went to pray for us but it still upset me. I told my husband he could pray for us anywhere! I didn’t think he’d make it. The nurse kept offering pain medicine but I refused. I had a natural birth planned before losing her and once we found out her heart stopped it didn’t seem fair to be medicated anyway. Around 9:45 AM I begged to be checked to push but they said it wasn’t time. The pain was unbearable. I finally started screaming I wanted relief, I didn’t want to feel it anymore because she was about to be born and she wouldn’t be okay. I couldn’t stand the pain of my new reality. The nurse was fast to give me IV pain meds, they made me feel more drunk than anything. It didn’t help the pain at all. It made me feel ‘high’ for maybe a minute or two but didn’t help. It was time. I tried pushing but I was scared to without ‘permission’ and my body was too tense to deliver her. Finally my doctor showed up between that time and 10 am. He came straight from church with his family to deliver my stillborn baby. All of my anger went away when he walked in, I felt guilty for being angry. He came in, saw how much pain I was in, and decided to let me try to push. Winslon Eve Monk was born with the first push at 10:01 AM at 12.3 ounces and 10 inches long. It didn’t feel real. I threw my head back and bawled as soon as I saw her little foot floating in her sac. She wasn’t even fully born yet and I grabbed my husband and held him close and just bawled. 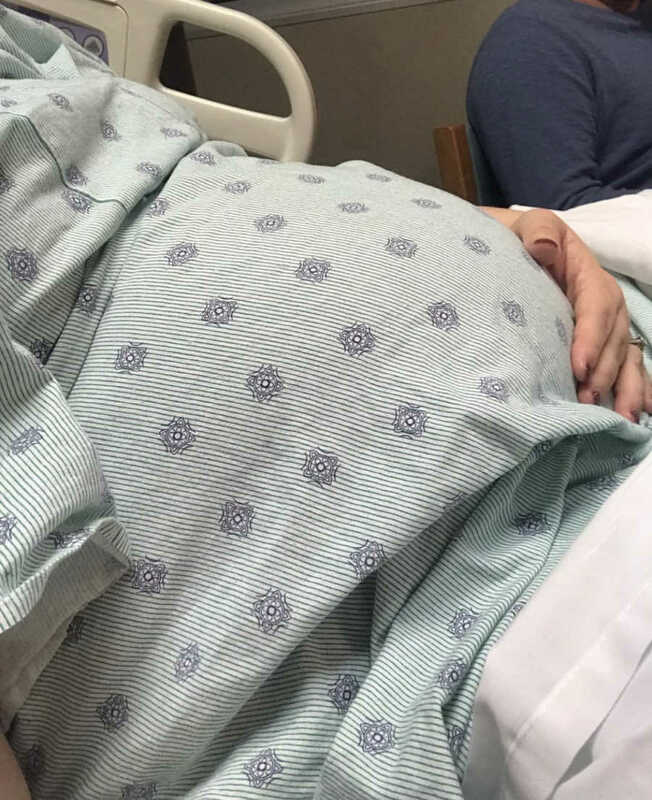 My doctor took her immediately and set her on the cart, popped her sac, and tried to find a physical reason for losing her. My husband didn’t even get to cut her cord because everything happened so fast. I screamed asking if it was her cord that caused it over and over. He couldn’t answer me, he didn’t know. 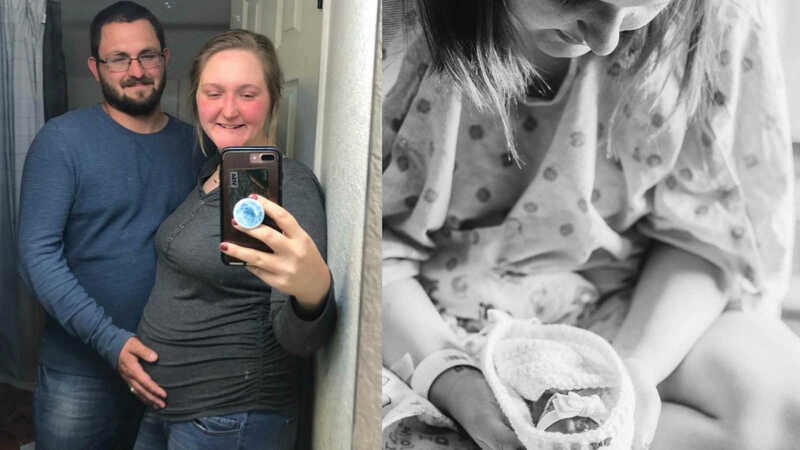 Her cord had a knot in it but babies are born with knots everyday. 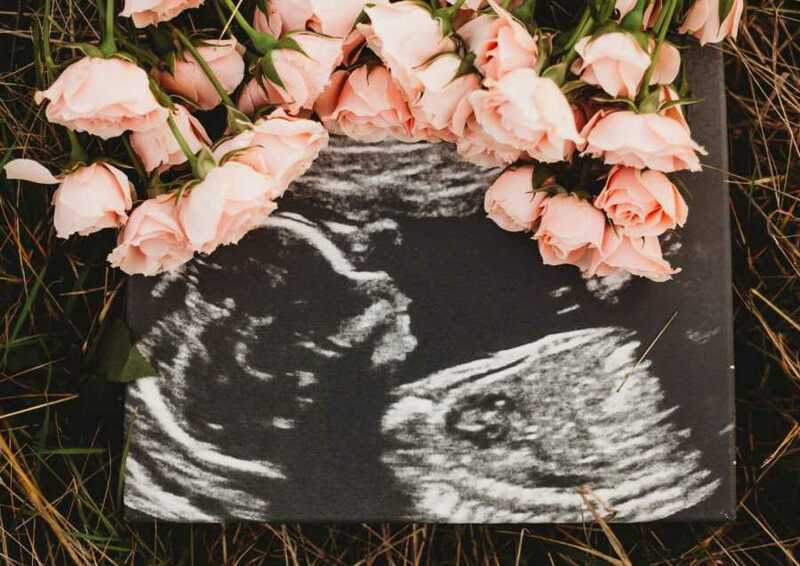 Not only that but her anatomy scan three days prior to her birth showed fluid in her abdomen, (which can be linked to many other issues), a two vessel cord, and low amniotic fluid. He couldn’t say whether or not it was the cause until her genetic testing and her autopsy came back. However once all of that came back it showed that her true knot is what killed her. A cord accident. On top of having a two vessel cord, I ask myself every day if she would’ve survived if she had a three vessel cord like she was supposed to. We got seven hours with her and whoever wanted to come meet her, did. I wasn’t ready to hand her over but she started looking worse and worse and we didn’t want to remember her that way. The nurse came in when we were ready with a little biodegradable casket. We had to put our daughter in it and kiss her goodbye forever. My heart was not ready. No one should ever have to do that. I wrapped her up in a little blanket and hat because she was so cold and I didn’t want her to feel alone. I would’ve held on forever if I could have but instead we had to kiss her little face, tell her we loved her, and walk away and plan her funeral. This story was submitted to Love What Matters by Kristan Monk from Troy, Texas. You can follow her on Instagram here and Facebook here.. Do you have a similar experience? We’d like to hear your important journey. Submit your own story here, and subscribe to our best stories in our free newsletter here. Please SHARE this story on Facebook and Instagram to let others know there is a community of support available.